The Privacy Advisor | The Privacy Advisor Podcast: Chris Zoladz Related reading: Podcast: What went down at RSA? In this episode of The Privacy Advisor Podcast, Chris Zoladz, CIPP/E, CIPP/G, CIPP/US, CIPM, CIPT, of Navigate talks about what he’s seeing on the ground as he advises clients who’re aiming to comply with the GDPR as its effective date rapidly approaches. Zoladz says based on his experience, organizations are largely not going to be completely compliant by May 2018, in part due to budget cycles. He’ll explain. He also describes how to be strategic about big data and the GDPR’s new consent requirements. A big part of it is data mapping, first, but it’s also about strategic communications with analytics teams. “I really think the conversation with the analytics team has to be about them, not about privacy,” he said. Of course, the endgame is privacy, but it’s all in the approach. 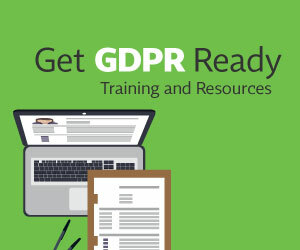 Editor's Note: For more on GDPR compliance, check out this recent web conference with the IAPP's Omer Tene and Hogan Lovells' Eduardo Ustaran, CIPP/E, on "Knowing and implementing the GDPR." Podcast: What went down at RSA? library_books Podcast: What went down at RSA?